GCH Retail (Malaysia) Sdn. Bhd. 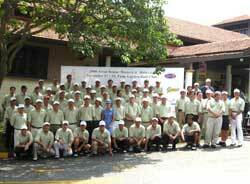 held their Giant 1st Corporate Golf Challenge at Palm Garden Golf Club on Tuesday 14 November 2006. 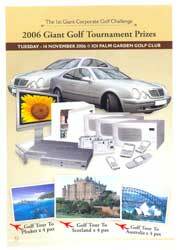 Over 80 Giant suppliers played golf and over 150 attended the Gala Prize giving dinner. Prior to the game, the players were treated to a golf clinic by Former Malaysian National Golf Coaches Alan Murray & Garry Overy along with ASM senior professionals Kyle Francis, Richard Ellis and John Barrett.